iChange Nations™ the “World’s Largest Building Cultures of Honor” network had an International Honor Event in Grand Rapids, Michigan November 4, 2017. In attendance were several different nations. Leading humanitarians and people of civility were honored with prestigious iChange Nations™ Awards. There was a great representation from NW Indiana. 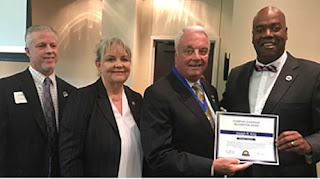 Dr. Gordon Bradshaw, one of the founders of Community Civility Counts Initiative received the iChange Nations “Pillar Award” for his continued strong support of the Global ICN Golden Rule Movement of Honor. 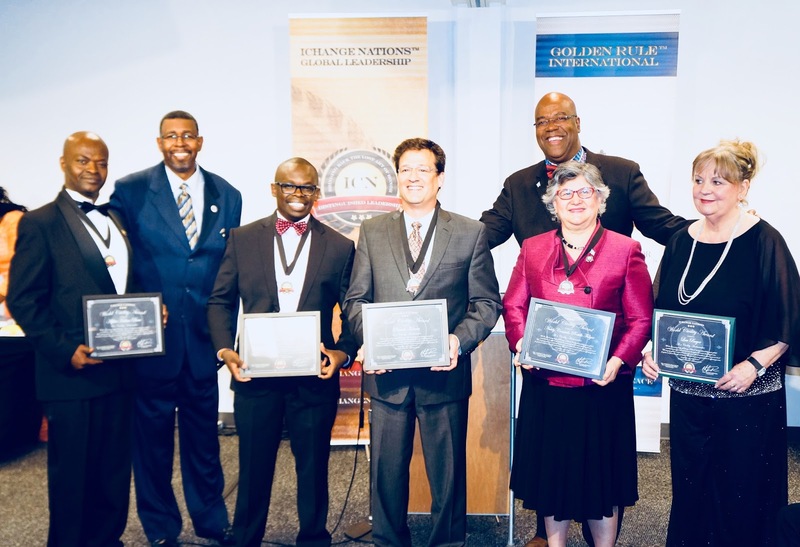 Vincent Harlston received the ICN Christian Media of Excellence Award and Dr. Anthony Branch received an Honorary Doctorate in Letters from United Graduate College and Seminary International for his outstanding journalism. We are witnessing great international results coming out of World Civility Day. 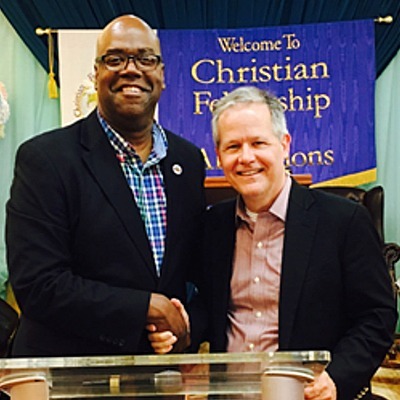 Dr. Chuck Hughes and Dr. Gordon Bradshaw along with the Gary Indiana Chamber of Commerce, have worked together to create the Community Civility Counts Initiative and World Civility Day and appointed Dr. Clyde Rivers as the Spokesperson for World Civility Day. This award is reaching platforms of the world and iChange Nations™ is finding great people of civility to honor. Former President of Zambia, Kenneth Kaunda, is one of the last living freedom fighter that aided Nelson Mandela in his apartheid movement in South Africa; helping him get free from prison and housing and protecting members of his political party for years. Kaunda worked in his country to unite the over 70 tribes that are united to this day. He was then first person in history awarded the prestigious ICN World Civility Award and this has set the bar high for this award. Although unable to attend the event in Grand Rapids, Lew Bayer, CEO of Civility Experts Worldwide Inc. received the ICN World Civility Award and the highest award to-date from iChange Nations™, the Girma Wolde Giorgis Presidential Environmental Award for her work to change the environments of the world today through Civility Training, bringing solutions to a world full of incivility. Along with this award she also received the ICN World Civility Award. At the iChange Nations™ Global Honor Event, Naldy Consuelo Portillo Folgar, the “Women of Peace” for the country of Guatemala, was awarded the iChange Nations™ World Civility Award and also the iChange Nations™ National Statesman Award for her work in peace building her country, Guatemala. iChange nations™ desires to recognize the individuals and organizations working to empower and help mankind. “We need to brand a new kind of hero, a new role model for the people of the world to follow. If we don’t bring these great people to our global platforms to acknowledge and honor them, we have lost a huge part of legacy intended to guide and better the world. That is the reason ICN seeks out people doing great things to help the world and bestows honor upon them. We are creating a new standard and the world will follow,” says Dr. Clyde Rivers. Another recipient was a presidential candidate for the country of Guinea, Alpha Kabine Baro, he was awarded the ICN World Civility Award, for his work to keep peace amongst the youth of his nation. Among the award recipients was a gubernatorial candidate for the state of Kansas, USA, Patrick Kucera. He was also a recipient of the World Civility Day Award. 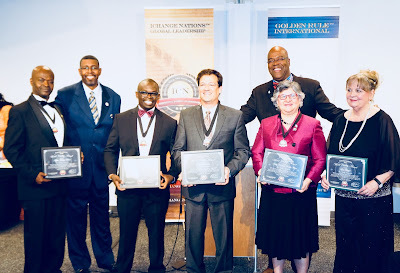 Dr. Charles Kinuthia in turn received the World Civility Day Award for his work in the nations to bring equity and an entrepreneurial spirit into business systems supporting World Civility globally. We are honored to present Lew Bayer with the highest honor given at iChange Nations™. The iChange Nations™ President Girma Wolde Gorgis Human Conservationist Award. This award is presented to individuals that have produced monumental change in the lives of people or systems around the world. Lew Bayer is one of those highly esteemed individuals iChange Nations™ looks to nominate for this prestigious award. 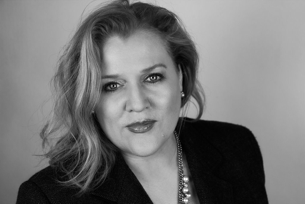 She is the Founder of Civility Experts Worldwide. Lew is on the cutting edge of Civility Training at an international level. She has dedicated years creating and producing the literacy to bring the skills of civility into society at every level. Her philosophies are tested and her skills training has produced life changing results in well over 30 nations of the world. Lew says, “Civility is its own reward”. She suggests that “In choosing civility, people find their best self, and in doing so, they experience the grace, courage, generosity, humanity, and humility that civility engenders.” Lew Bayer is also a renowned author and speaker to audiences around the world. In Portland, Oregon August 2017, Ambassador Dr. Clyde Rivers was presented with the prestigious Kingdom Congressional International Alliance 2017 Ambassador of the Year Award. The Body of Leaders for Kingdom Congressional International Alliance (KCIA) observed and assessed the global work of Ambassador Dr. Clyde Rivers as a leading World Peace Ambassador. 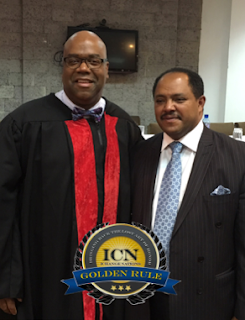 Ambassador Rivers is working in the nations to bring the Golden Rule to help mankind and leaders of nations. He looks around the world to find and establish the value of human life and find those living, “Treating others the way they want to be treated.” He is building Cultures of Honor globally. 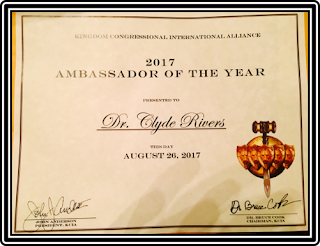 The Kingdom Congressional International Alliance (KCIA) has bestowed upon Ambassador Rivers this award for his great works aiding the world in how to view people from the proper perspective and bring honor. Ambassador Dr. Clyde Rivers, Founder and President of iChange Nations™ has approved a new award in honor of a top World Peace Activist and Philanthropist, Ambassador Mussie Hailu. This award is the iChange Nations™ Ambassador Mussie Hailu Global Peace Award. Ambassador Hailu is known worldwide to be a man of high values, deep care for humanity and works around the world with the message of the Golden Rule. The "Ambassador Mussie Hailu Global Peace Award," is an iChange Nations™ award intended to acknowledge, recognize and appreciate the efforts of individuals or organizations throughout the world who are committed to promoting a culture of peace, compassion, human dignity, the teaching of the Golden Rule, "Treat others the way you want to be treated", with mutual respect and co-existence among followers of different religions and cultures. 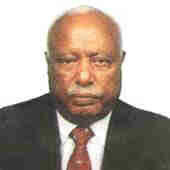 Ambassador Mussie Hailu is working at regional, national and international levels. His efforts involve promoting peace, reconciliation, interfaith harmony and world citizenship. In addition, he labors to protect human rights, enhancing respect and human dignity and compassion for all forms of life around the world. He also actively works against the proliferation of small arms and light weapons promoting disarmament. His efforts are also directed at constructive dialogue, building bridges for international cooperation and promoting the teaching of the Golden Rule as a guiding principle. iChange Nations™ is the World’s Largest Honoring Network Establishing Cultures of Honor in the World. We are proud to now have the, “Ambassador Mussie Hailu Global Peace Award,” in which to honor qualified people changing the world. Since meeting with the alderman and discussing the challenges within his ward, World Civility Spokesman Rivers, has begun working to put together a Golden Rule strategy that will help turn the Wards’ problems of violence around. Harrisburg, PA, USA - In an award ceremony held on Thursday evening, April 20, 2017, Golden Rule World Peace Ambassadors and Community Life Coaches, Chris and Carol Green, received one of United Way's 2017 Volunteer of the Year Nomination awards for their work and services in a local women's shelter. A little over one year ago, the Greens were merged into the shelter's monthly calendar to provide life coaching support for both the staff and residents of this special outreach situated in one of the City of Harrisburg’s high-crime neighborhoods. World Peace Ambassador, Dr. Clyde Rivers, calls them leading skilled experts in rebuilding, restoring and renewing hearts and homes; and innovators and pioneers in the empowering and equipping of today's community care, ready responders.